There are thousands of searches made in every community across Ontario for realtors. Toronto, Oakville, Mississauga and Brampton all receive a huge search volume of people searching for realtors every month and significantly more entering the buying cycle searching for homes online. Every year more home buyers look for realtors online with searches for realtors increasing over 200% annually. The thing is, 93% of those home buyers searching won’t go past the first page of Google to find their real estate agent, you must be on page one to get found. VERY FEW realtors have more than a website with MLS search, even less have a site using lead capturing software and again less are in the know about where a large portion of ‘real estate leads’ are going and to a large degree, have already gone. The BAD news is that there are only ten spots on page one and there are realtors putting serious digital marketing plans in place. These realtors have a website and web presence that are continually being built weekly, eventually, these websites will be impossible to catch in the rankings. The GOOD news is that it is only a few realtors that have real estate marketing plans in place digitally and those who begin the process of fortifying their web presence NOW will be the ones to dominate page one of Google in the future and everyone else will be trying to play catch up. With reviews being the biggest thing in marketing and almost 80% of people consulting them before deciding on service providers video testimonials are an incredibly important form of social proof. Our template videos for home listings are easily interchangeable from listing to listing and add reputability and state of the art technology to your website. 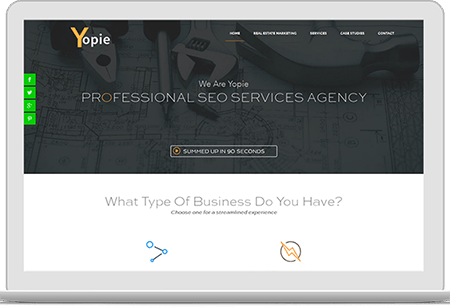 At Yopie.ca we identify what searches are being made in your area for people looking for realtors, then target them specifically and when the searchers arrive on page one you’ll be there waiting for them. With 93% of home buyers beginning their search online, the question is: Are they searching for those homes on your site? All sites are pre-designed with scalability in mind, we set your site up with the plan of it growing stronger with every passing month and therefore increasing your rankings leading to more leads. The constant addition of new targeted content published to the site and promoted via Social Media aimed to meet those targets. Keep yourself in front of, and engaged with your clients. The Benefits of Real Estate Marketing Services: Marketing is a core component of every type of business, including the real estate businesses. As a realtor, it might be tempting to undertake the marketing of your business on your own, but logic would dictate that you should seek professional real estate marketing services for better results. Here are some of the benefits you will get from using an internet marketing company. Convenience: You are trained as a realtor and marketing may not be your area of expertise, instead of stretching yourself thin by trying to market your practice and at the same time trying to nurture and convert leads, it would be a good idea to relieve yourself of the burden and let professionals do the marketing for you as you concentrate and converting the leads and let’s face it, being a realtor. This offers you a lot of conveniences and you will get to focus on other important aspects of your business, like making money. A consistent Flow of Leads: By choosing one of the many real estate marketing companies out there, you will be guaranteed a consistent flow of leads into your business. In this manner, you will have the gas needed to keep the wheels of your real estate business machine rolling. Remember that in any business the absence of leads can easily make your life harder and more stressful than need be. However, this should never happen if you use real estate marketing services with a strategic and measured approach that should consistently be receiving fresh leads and if done right, an increasing amount of real estate leads over time. Good ROIs: Some real estate marketing companies can be expensive, but it a worthwhile venture in the long run. With such marketing services, you will get highly targeted leads to your business and your duty will simply be to close them. With the value and the nature of transactions that take place in the real estate industry, you can certainly get a high return on investments with most agent studies reporting a return on investment after two home sales. The thing is do most realtors know how? Building a strong brand in a fairly competitive industry not only involves a great deal of know-how but is also incredibly labour intensive. With professional marketing services, you’re dealing with trained marketers that have a clearly defined marketing strategy to market your business effectively so that you stand out from the rest and get the maximum benefits when growing your real estate brand. Marketing makes it possible to grow your business: Real estate marketing companies make it possible for realtors to grow their businesses. 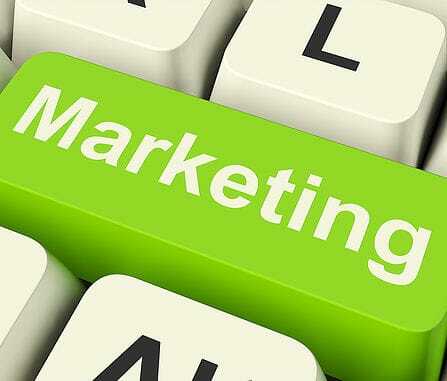 Marketing will expose your business to potential clients. The more people you can reach, the more leads you can collect and the higher the number of deals you can close. This is how growth is achieved in real estate industry.